All homes currently listed for sale in the zip code 90012 as of 04/25/2019 are shown below. You can change the search criteria at any time by pressing the 'Change Search' button below. "Free standing, 3 story contemporary loft with staircase to rooftop with awesome views! One-of-a-kind cross property zoned commercial C2 in the heart of Hip, Innovative, Chinatown LA. Written up in LA Lofts (Article Attached). Currently used as Creative Office Space and post-production facility. Security system. Back and front entrances. Live/Work possibility - full kitchen and bathroom. Newer electrical, plumbing, and computer cabling throughout. 5 post production or 3 sound / music rooms. Small open air workspace in back. Ideal for musicians, artists, composers, film editors, and other creatives. Must see to believe - walking distance to Metro, Chinatown restaurants, art galleries, etc. Buyer to independently verify. Listing Agent has ownership interest in property." "Iconic 940 E. 2nd Street (aka Barn Lofts) set the standard for elegant loft living in the Arts District. The unique design of this town home-style loft on 3 floors set a standard that has yet to be matched. Originally built in 1906 as a sugar beet railroad warehouse, 940 was re-imagined by award-winning architect Rocky Rockefeller and was transformed into stunning, light-filled lofts combining the best of the rustic, industrial feel of the red brick building with streamlined European styling. This loft comes with 2 bedrooms/2.5 baths and among its many features are: parking at the front door inside a secure parking lot perfect for security and/or privacy-minded owners; private outdoor patio on the 3rd floor; custom bathroom cabinetry made from repurposed wood from the original 1906 warehouse; and highly prized secure guest parking. Perhaps the greatest amenity, however, is the fact that the property is strategically located in the heart of the burgeoning Arts District!" "Brand New construction, THE TERRACE, situated high above DTLA, a new gated community awakens the senses and inspires movement throughout your day. Featuring 45 townhomes each with stunning views, chic interiors and easy access to work and play, THE TERRACE is guaranteed to change how you live LA." "PERCHED HIGH TOP THE HILL WITH PICTURE POSTCARD VIEWS OF DOWNTOWN, THIS 3 BEDROOM TOWNHOUSE WAS BUILT IN 2002 AND IS IN IMMACULATE CONDITION. HARDWOOD AND MARBLE FLOORS THROUGHOUT, FAB KITCHEN WITH GRANITE COUNTER TOPS, CLOSET BUILT-INS. FREE STANDING WITH NO COMMON WALLS AND EXTREMELY LOW HOA DUES. DIRECT ACCESS TO YOUR OWN GARAGE. EASY ACCESS TO MAJOR FREEWAY AND 5 MINUTES TO DOWNTOWN. VERY SLEEK. APPROX. 1,930 SF BY BUILDER, BUYER TO VERIFY. It is like a gated Single-family house. No common walls." "South & East Corner Loft at Higgins Building w/ reserved G/F Parking inside building on a long term lease! Mills Act Building, save ~70% on property taxes. $29,000 Special Assessment paid off by Owner in Escrow. 11 ft ceilings, 2 Walls of double hung gigantic windows with fabulous views of Little Tokyo and Downtown Skyline. Airy, spacious and bright loft is in downtown's hottest location. Crossroads of Bunker Hill, Little Tokyo, the action of Spring and Main Streets, and surrounded by Parks - 2nd Street Park, Spring St Park and Grand Park. Building has fabulous roof deck & BBQ Area. BRAND NEW BOSCH in unit washer/dryer. Renovated kitchen with Stainless Island, upgraded bath tiling, NEST home. Designer Furnishings in avail for sale for immediate move ins !" "Welcome to Bunker Hill Tower! Set atop of Bunker Hill, this exclusive property has epitomized luxury living in the heart of DTLA. With the proximity to many of LA's cultural centers and venues that make LA, LA! Close to Disney Hall, Nokia Theater, Staples Center, Olivera Street, China Town...The complex itself offers the luxuries amenities expected from 5 star hotels. There is the concierge service and 24 hour security. Amenities include an olympic size pool, spas, tennis courts, 2 fitness centers and picnic area. The unit itself has been updated to challenge any of its contemporaries. The remodel showcases the open floor plan. The kitchen has been upgraded with the highest quality appliances you would get in high end properties. The bathrooms shout out come and relax. But what makes this unit so spectacular are the unobstructed endless views. I'm only dishearten that I can't paint a more vivid picture. So I invite you to come and see for yourself. Welcome to Bunker Hill Tower!" "Motivated Sellers, Great opportunity to own one of the largest unit in one of the most luxury downtown condo complex. This spacious unit has 1707 sq ft living area. Nice kitchen layout, Hardwood floors through out. No unit below. W/D hook up inside of unit. Centrally located in prime Downtown LA. Short walk to the court house, Financial District, Broad Museum, Disney Concert hall and other major entertainment, shopping and restaurants. Long list of amenities inc. 24 hr. security, gated parking, gym, pool, meeting room, dog runs and so much more." "Beautiful prestigious Bunker Hill Tower 25th floor, unit has recently been renovate. Great panoramic city and mountain and Hollywood view. Disney concert Hall and the beautiful designed LA Dept of water and power building, music center, court houses, Art Galleries,amazing downtown living.24hr security,renovated pool and gym, spa, jacuzzi, two tennis court, two fitness rooms, conference room, BBQ pits, convenient store, dry cleaners on floor level. HOA dues include electricity, gas, water, trash, internet, basic cable TV, and Maintenance of the AC/heater." "Back on the market. Located in the heart of Little Tokyo and Arts District in downtown LA. The Savoy offers the convenience of downtown living with luxury resort amenities. Gorgeous 3 bedroom and 2 bathroom condo. Features an open-style kitchen with granite counter tops and kitchen island, freshly painted interior, central A / C & heat and washer & dryer are in unit. Very bright and a moderately sized living room. Unit comes with 2 assigned parking spaces in a secure subterranean parking garage. Savoy's resort amenities including private courtyards, a pool and spa, BBQ grill / patio area, fitness center, business center, theater / media room, conference room, sports cafe? computer room, study / library, gated parking, 24-hour security, rooftop deck with skyline views and so much more!! Easy access to major freeways and public transportation. Close to Little Tokyo stores, restaurants and various shopping centers. Must See!!" "Exquisite & Unique Loft in historic Beaux Arts Style Higgins Building! Cinematographic Views, Goldilock best view of Main and 2nd! View: famous/upscale Vibiana tower&famous court yard/garden. Best seat in town to observe (if you want to) the rich&famous celebrate life + Beautiful city architectural blds (modern&historical). 8 huge (almost floor to ceiling) zinc windows bring natural light & frame the beautiful view. Open concept living w/ polished cement floors. Remodeled kitchen+SS appliances. Well placed false wall gives privacy to the bedroom area. Custom closets built around the bedroom. Custom window treatment. W/D in Unit! One block from a metro station (under construction). Across a dog park (unofficial)! VIP access and discounts at the Edison, located in the basement of the building. Amenities: desk attendants, rooftop deck with gorgeous skyline views! Designated historic under The Mills Act (property taxes reduction-about60%). Public parking behind bld about $165/mo. Must C!" "Centrally located in Little Tokyo, first time on the market since 1985, largest unit in the complex, spacious private corner unit with polished concrete floors, west facing unit, garden, and street views, complete with two separate bedrooms suites, large central living and dining room with large outdoor private balcony, separate kitchen and breakfast area, great closets and storage and one walk in closet, stack washer and dryer included in unit, (2) side by side first floor covered garage spaces near lobby entrance, building amenities included, recreational room with kitchen, central garden with koi pond and walking areas, large gym, hot tub and sauna, secure entrances with daytime staffed front desk, convenient to cafe's shops and transportation." "FABULOUS RARE 3 BEDROOM IN DOWNTOWN! JUST REMODELED UNIT IN PRESTIGOUS PROMENADE WEST ON BUNKER HILL. BRIGHT END UNIT IN SECURE BUILDING WITH 2 PARKING SPACES WITH OVER 1700 SQFT. MOVE-IN READY CONDO BY CONCERT HALL AND MUSIC CENTER. CLOSE TO COURTHOUSES, RESTAURANTS, CIVIC CENTER, LITTLE TOKYO, FINANCIAL CENTER, SHOPS AND HISTORIC CORE. JUST MOMENTS AWAY FROM SOUTH PARK, STAPLES CENTER, LA LIVE, WHOLE FOODS, RALPHS, FASHION DISTRICT AND MUCH MORE. IMAGINE WALKING OR BEING ONLY MINUTES FROM WORK AND EATING AT ALL THE TOP RESTAURANTS THAT DOWNTOWN HAS TO OFFER, LISTENING AND WATCHING PERFORMANCES NEARBY WITHOUT TRAFFIC OR PARKING AT ALL. WELCOME HOME." "JUST REDUCED BRIGHT & LIGHT OPEN LOFT WITH 12 FT CEILINGS & ORIGINAL EXPOSED BRICK ACCENTS. Live in the completely renovated historic Pan American Lofts built in 1897. Gorgeous New York Style CORNER loft w/ open space floor plan. Modern meets historic charm in this stunning space. Fully equipped with stainless steel appliances incl. washer/dryer. Balcony / fire escape. Nearly 1000 sq ft with oversized bathroom, floor to ceiling windows with lovely window seats. Convenient 30 second walk to Grand Central Market, a food-centric & culturally diverse marketplace. Check out this unique opportunity to live in this boutique style, 40-unit building! RARE DEEDED SUBTERRANEAN PARKING SPACE. In the Old Bank District the Pan Am is conveniently located near all downtown's best attractions, including MOCA, Chinatown, Little Tokyo, the Arts District, the Fashion District, Disney Hall, Dorothy Chandler Pavilion, Central Library, Union Station AND all the best in dining and shopping DTLA has to offer"
"ABSOLUTELY FABULOUS 2BR/2BA LUXURY CONDO IN THE HEART OF DOWNTOWN LA, UNCOMPROMISING TASTE AND STYLE PRODUCE ONE OF A KIND DESIGN THAT UNDOUBTEDLY WILL PLEASE YOUR EYES AND STIMULATE YOUR EVERY SENSES: GRANITE KITC & BATH CTR TOP, MARBLE BATH & SHOWER, DESIGNER TASTE FR. CABINETRY, FAUCET TO LIGHTING, RICH HDWD FLR, FRENCH DOOR, SPACIOUS BALCONY W/ STUNNING VUE OF DISNEY CONCRT HALL & CIVIC CTR. TRULLY A RARE FIND... MUST SEE TO APPRECIATE....CAL LA....WON'T LAST !!!" "LOCATION!ONE OF LA HOTTEST NEIGHBORHOODS! !TOTALLY REMODELED! !MOVE IN!WITH SPECTACULAR DOWNTOWN CITY LIGHT VIEWS! !Walking distance to Dodger Stadium, the Hiking Trails of Elysian Park , Echo Park. Just minutes to Downtown. Close to Downtown Regal Cinemas L.A. Live,Walt Disney Concert Hall,MOCA,Staple Center, Convention Center, Silver Lake, Echo Park, Griffith Park,Coliseum, LAFC Stadium, Science Center, USC, Etc.Close to Major freeways 110,101,60,10,5.This bright well designed home features:a spacious open kitchen and formal dining room. New Stucco with Shear walls, New Electrical with New updated Electrical Panel. New copper Plumbing. New HVAC System Central Air/Heat, New Drywall with level 5 smooth finish, New Ceilings with New Recess lighting and Speaker surround system for Music Enjoyment and entertainment.New Construction Windows including huge Picture window in Master Bedroom. New Custom made Natural Maple Finish Kitchen Cabinetry with Quartz counter tops and a full splash with a desirable touch .New Hood .NEW Interior and Exterior Paint, New Flooring. New Bathrooms with custom tile design.New Laundry Hookups. New roof. New Outdoor Patio Fencing perfect for the dog or pets.New Front Fence.2nd Bedroom PERMITTED ADU features its own private amenities. Private bathroom and kitchenette with fridge.Perfect for the independent Artist that needs a private studio or it could easily be Airbnb. Basement has also new drywall, paint and insulation ready to make it into an office!" "Welcome to The Promenade. A sophisticated complex in Bunker Hill with 24-hour security, front-desk attendant, onsite building manager, a beautiful swimming pool, courtyard and patio common areas, classic entry and lobby area, resident gym, and guest parking. Bright and airy unit boasting two large and newly resurfaced balconies with spectacular views of the Frank Gehry designed Walt Disney Concert Hall, The Broad Museum and the dynamic Downtown skyline. Unit offers a large master bedroom with spacious walk-in closet and en suite master bathroom plus plenty of storage space. Recent upgrades include a new A/C and heating system. Condo has two parking spaces in a gated garage. HOA includes water, basic cable and trash. New construction is underway for the Grand Avenue Project which will considerably enhance the neighborhood and bring fabulous new restaurants, shopping and entertainment just steps away. 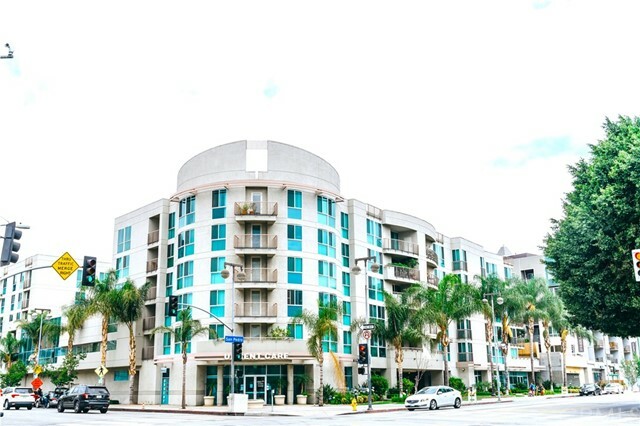 Property is adjacent to the Music Center, close to MOCA, Grand Park, and Metro station"
"Well known as SAVOY condominium in the heart of Little Tokyo and Art District in DTLA. This comfortable and affordable 2 bedrooms 2 bathroom condo features open floor plan, granite counter top and modern cabinets with big island in the kitchen, 2 master suites with the balcony from the living room. Savoy amenities include a resort-style pool, fountains, party room, movie screening room, library, and stunning downtown view rooftop. Walking distance to many restaurants, museums, retail stores, and the Metro line. LA downtown lifestyle awaits for you don't miss out this opportunity!" "This rare luxurious two bedroom is located in one of the most prestigious metropolitan condominiums in Downtown. Offering Italian Venetian walls, Solarium, Updated traditional kitchen with Miele Appliances, and Nest installed. Amenities include 24 hour security, concierge, ample guest parking and more. The common area offers on-site dog park and lush green gardens with serene waterfalls creating a private oasis in the heart of Downtown's Bunker Hill. Centrally located and is situated steps from Ahmanson Theatre, Mark Taper Forum, Dorothy Chandler Pavilion, and many other fine shops and restaurants. Perfect for creatives and thespians of all disciplines. This neighborhood is married to some of the most iconic entertainment and sports venues Los Angeles has to offer. Enjoy this residence knowing that the harmonious sounds of the LA Philharmonic's strings and creative ambiguous art gifted from sponsors of The Broad is waiting to inspire you! New metro station scheduled for 2021!" "Cross the street from the World Famous Disney Concert Hall and Superior Court. The Promenade Residence the Prestigious Promenade residences, Just steps from the world famous Walt Disney concert hall, The Broad Museum, and Dorthy Chandler Pavilion, you are centrally located with world-renowned amenities at your fingertips! 2 bedrooms two baths with a spacious open floor plan combining kitchen, dining, and living areas. The kitchen has a spacious bar overlooking the Dining area Completely original condition. Nothing has been updated, building with 24-hour security, concierge, resort style pool, spa, gym, and a Japanese garden: on-site manager, mezzanine community room, elegant lobby, and 2 Subterranean Parking Spaces. Guest parking is available." "PRICE REDUCED! Rare Teramachi luxury senior (55 years+) condo unit for sale in the heart of DTLA's historic Little Tokyo. End unit condo with 2 bedrooms, 2 bathrooms, open living room, 2 balconies, dining area, contemporary kitchen with granite counter tops, breakfast bar & stainless steel appliances. Master bedroom includes walk-in closet, en-suite bathroom, and private balcony. Floor to ceiling dual pane glass windows and sliding glass doors in the living room, master suite, and second bedroom provide plenty of natural light, while keeping any exterior noise out. Central AC & heat, in-unit laundry room with washer & dryer and 2 assigned tandem parking spaces are also yours with this unit. Teramachi amenities include 24 hour security, fitness center, sauna, 2-story community recreation room with full kitchen facilities, indoor-outdoor pool and spa, central courtyard featuring gardens, koi pond, fountains & waterfalls, community barbecues, guest parking. Located close to Little Tokyo shops & restaurants, the Japanese American Cultural & Community Center, Japanese Village Plaza Mall, Union Station, LA Live, Staples Center, Nokia Theatre, Disney Hall. Easy access to 110 and 101 freeways." "Rare dual master condo in the Promenade West - the heart of the Civic Center. Spacious 2 bed 2 bath unit features: large living room, recessed lighting, dining area, hardwood floors, east-facing balcony, kitchen with granite counters, and stainless steel appliances. Resort-like full service building, amenities include: pool, spa, gym, clubhouse, grassy commons with barbecue area, and 24 hr security. 2 parking spaces and additional guest parking spaces available on premises. A few short blocks to: Music Center, Disney Hall, The Broad, and the Courthouses. New metro station scheduled for completion in 2021. This pet-friendly home has it all!" "Teramachi is a senior (55 years +) condominium in the heart of Downtown Little Tokyo District. This incredibly comfortable southwest corner unit offers 2 bedrooms 2 bathrooms, spacious foyer entrance, open floor living room with 3 ceiling to floor windows/door and gas fireplace, master bedroom with walk-in closet, balcony overlooking downtown skyline. Gourmet kitchen with granite counter tops, breakfast bar and stainless steel appliances, spacious cabinets complete the ultimate comfort living in downtown LA. Very bright with natural light all day long with central A/C & heater, in-unit washer & dryer. Teramachi amenities include an indoor & outdoor pool with sundeck, spa, central courtyard featuring gardens, koi pond, fountains & waterfalls, fitness center with sauna, guest lounges, 2-story community room with full kitchen, BBQ, guest parking and 24-hour security / front desk. Close to Little Tokyo shops and restaurants, MOCA, Dodger Stadium, Disney Hall, Staples Center, Arts District." "Teramachi is a Luxurious Downtown Condo Located in Historic Little Tokyo, DTLA. Conveniently walking distance to trendy restaurants, Japanese stores, markets, banks, metro, and more. This unit is a rare corner unit, where you can see the view of the down town sky scrapers. Teramachi amenities include a sparkling indoor-outdoor pool with sun deck, spa, central courtyard featuring gardens, koi pond, fountains & waterfalls, fitness center, steam sauna, guest lounges, 2-story community room with full kitchen facilities, community barbecues, guest parking, and 24-hour front desk/security station. Teramachi is a senior condo, the owner doesn't have to be over 55+ but residents must be over 55+ only exception with a couple, only one person needs to be over 55+ It's a rare corner location condo and very clean."